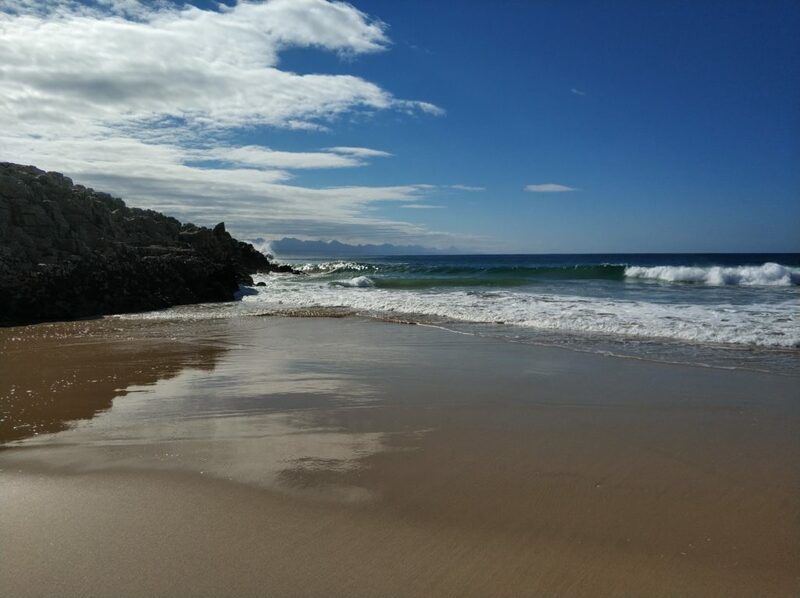 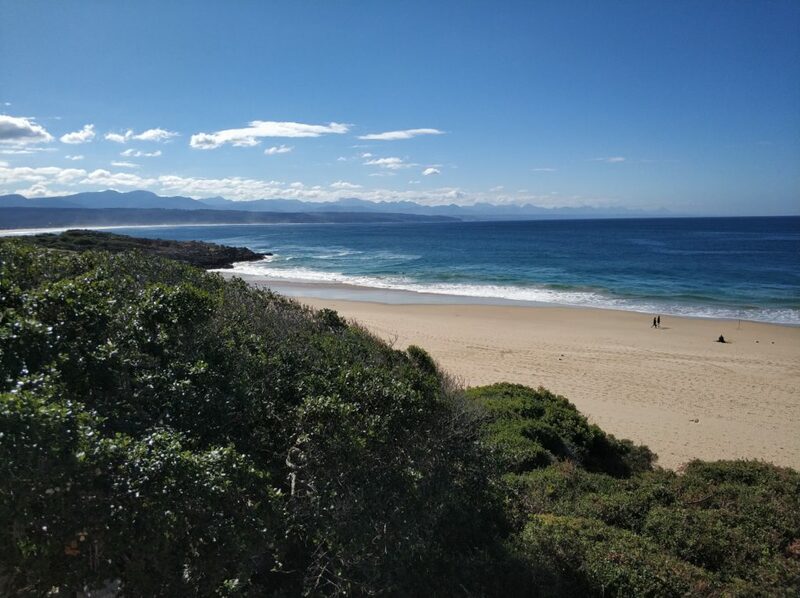 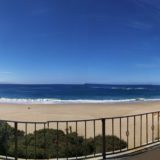 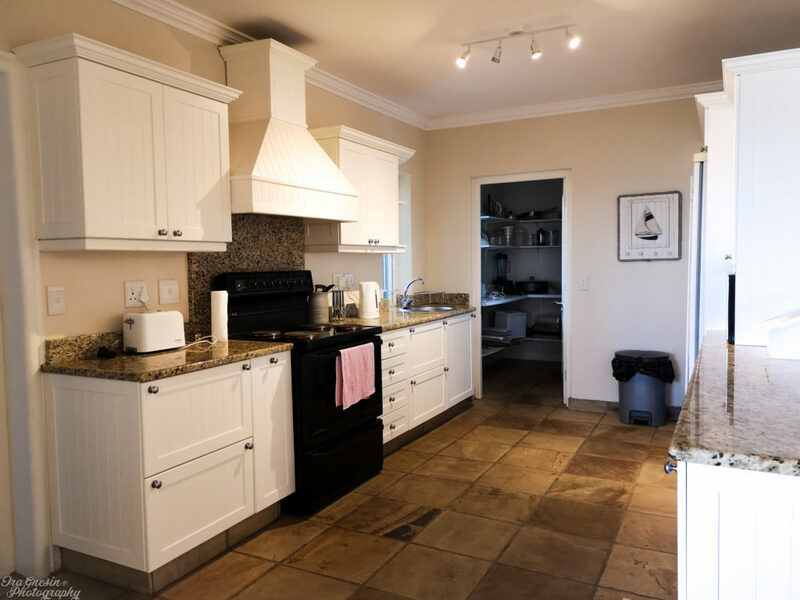 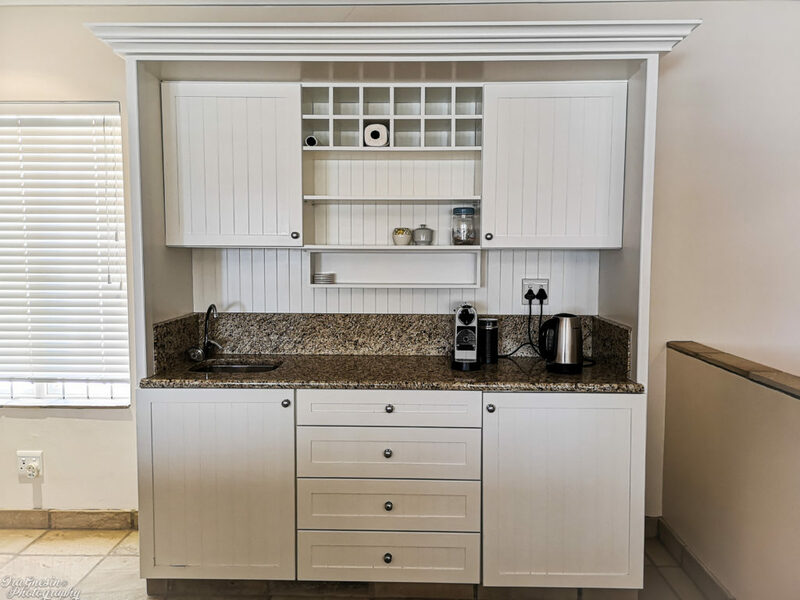 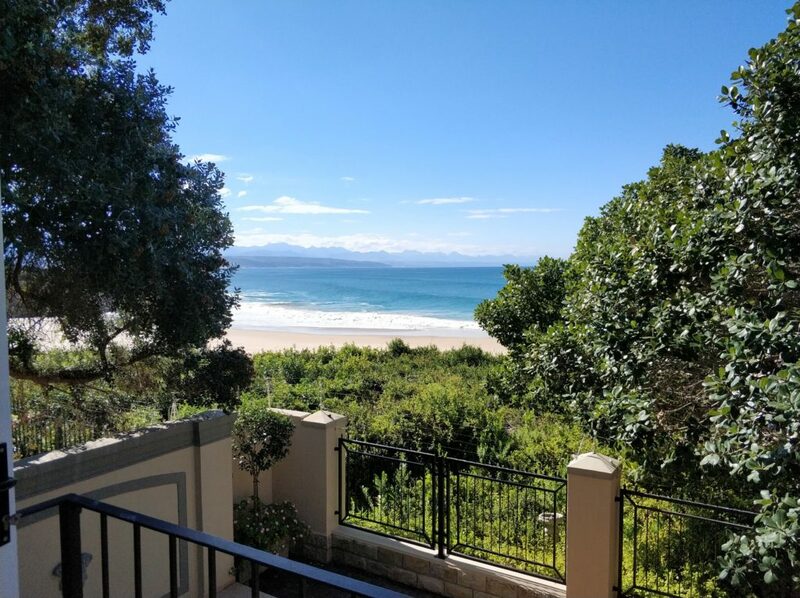 When it comes to beach-front sea view accommodation in Plettenberg Bay, Beach Cove Villa has to be one of the most conveniently located and guest-friendly holiday homes in Plett. 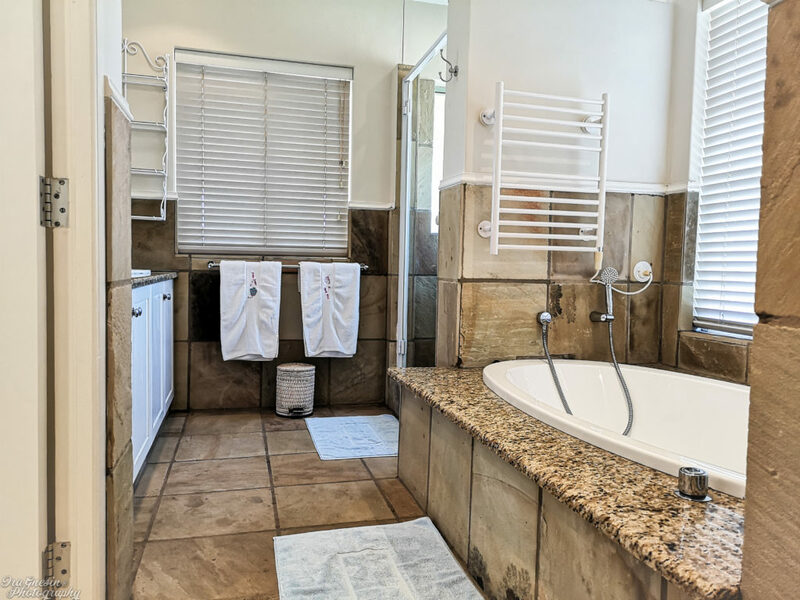 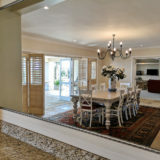 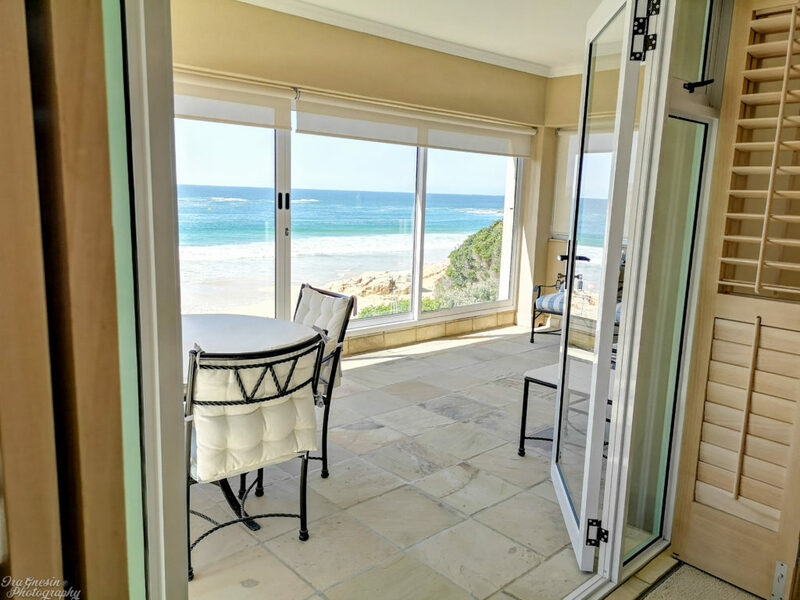 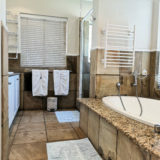 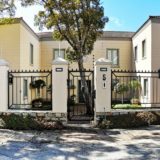 Nestling with it’s feet dangling on the beach and in the surf between the Lookout rocks & the Beacon Isle Hotel Beach Cove Villa is a very large and well equipped five bedroom luxury villa that is perfect for your Plett beach holiday. 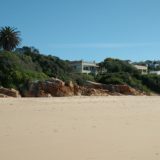 Sailing, kayaking, surfing, fishing, hiking, mountain & quad biking, horse riding & paragliding. 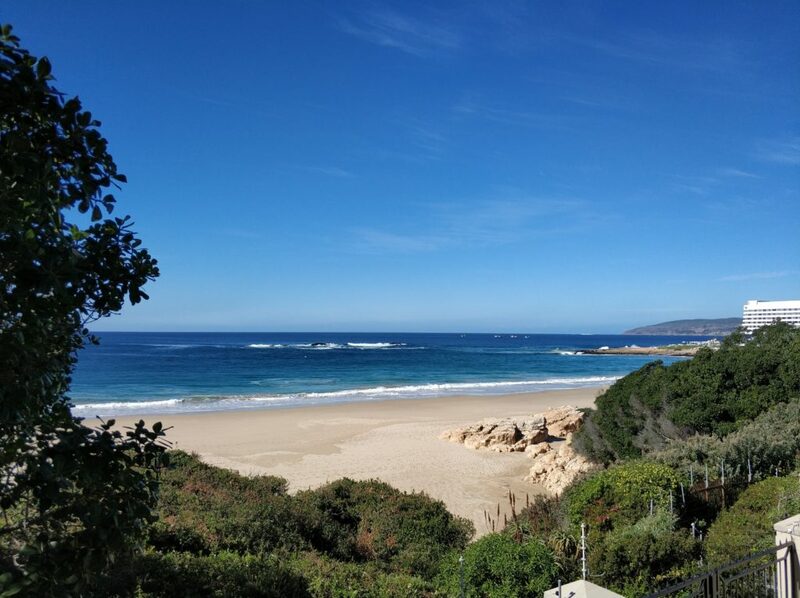 Pezula, Simola, Knysna, Plettenberg Bay, Goose Valley & George golf courses are all within easy reach. 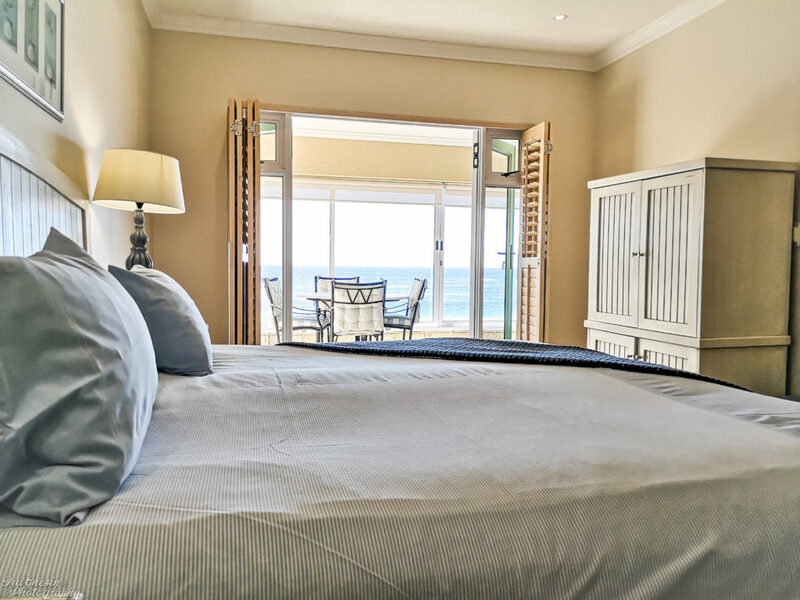 Minimum stays: 3 nights in Low Season, 5 nights in High Season and 21 nights in Peak Season. 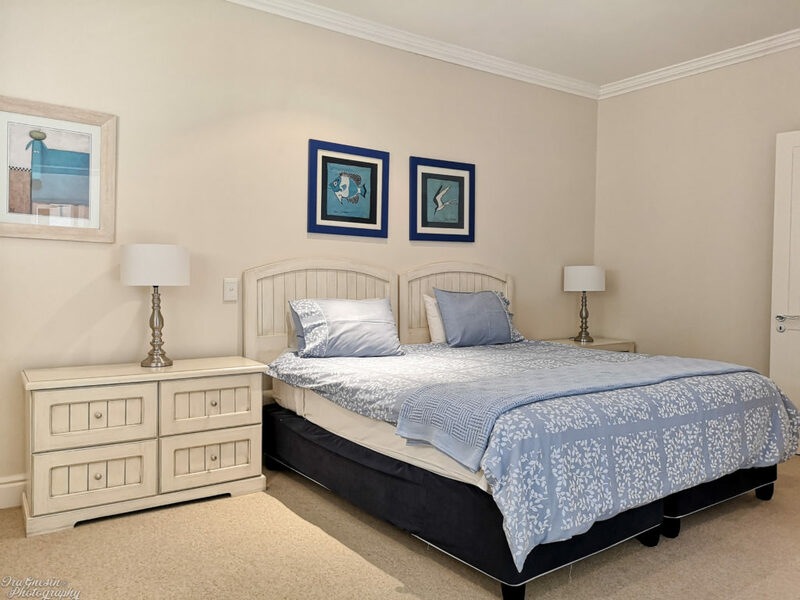 If your booking is for fewer days, then you will be quoted for the minimum. 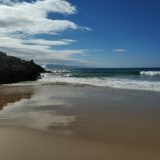 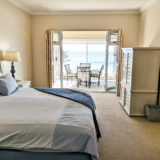 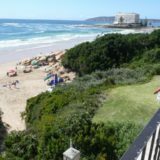 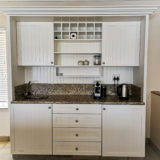 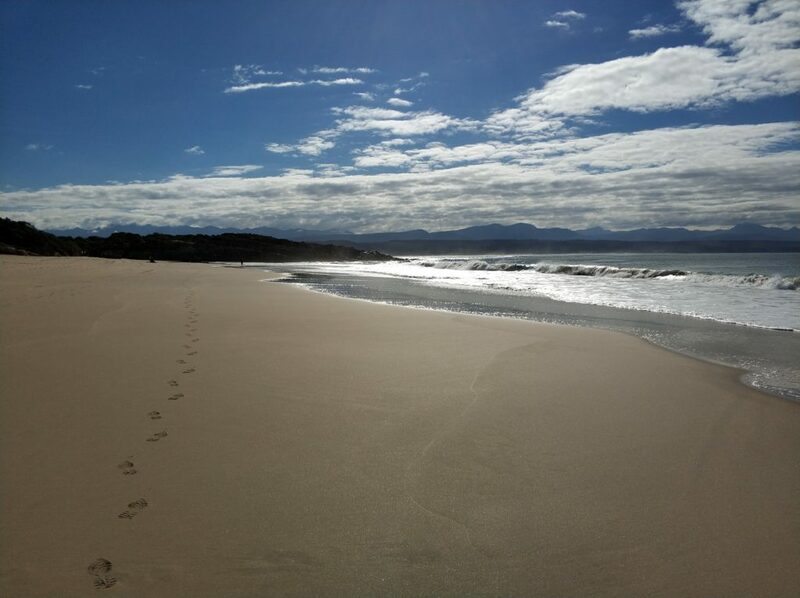 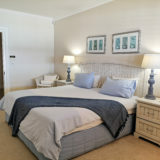 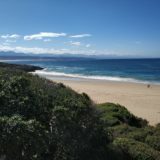 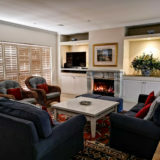 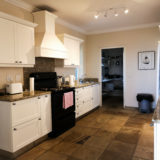 Sea view accommodation right on the beach, walking distance to restaurants & a short stroll to Plettenberg Bay town centre. 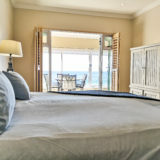 Accommodating 10 guests in 5 spacious and well-appointed en-suite bedrooms Beach Cove Villa offers sea view accommodation at its best. 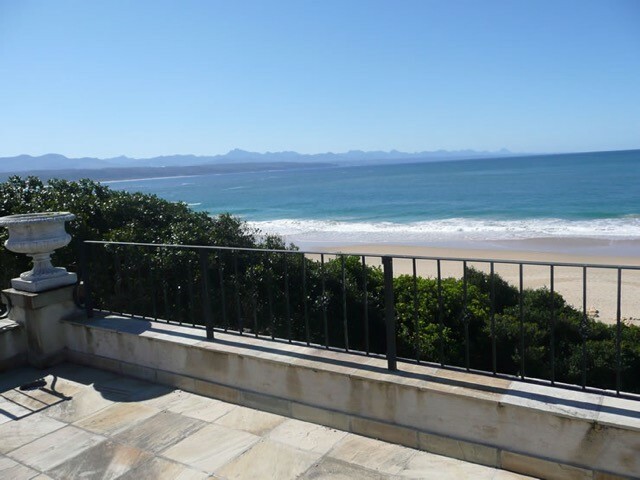 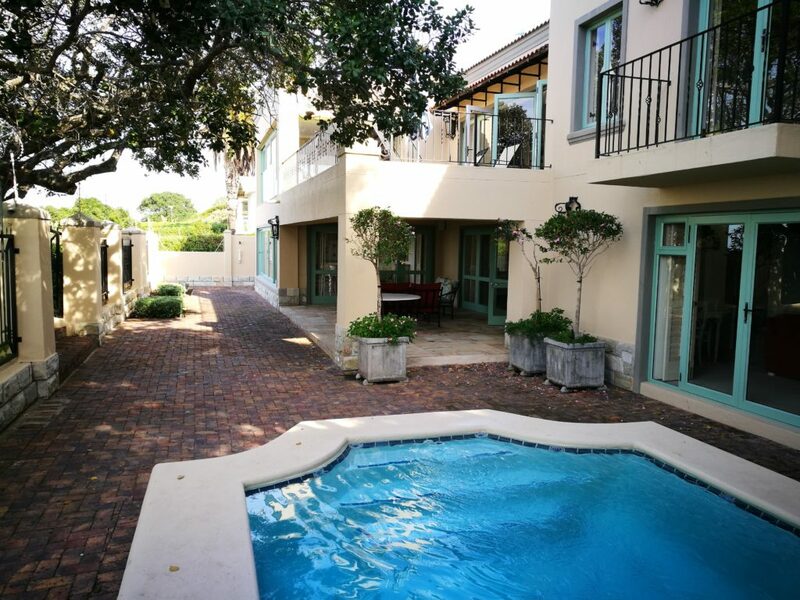 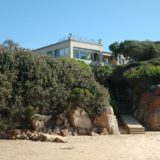 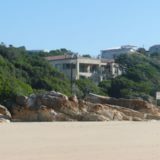 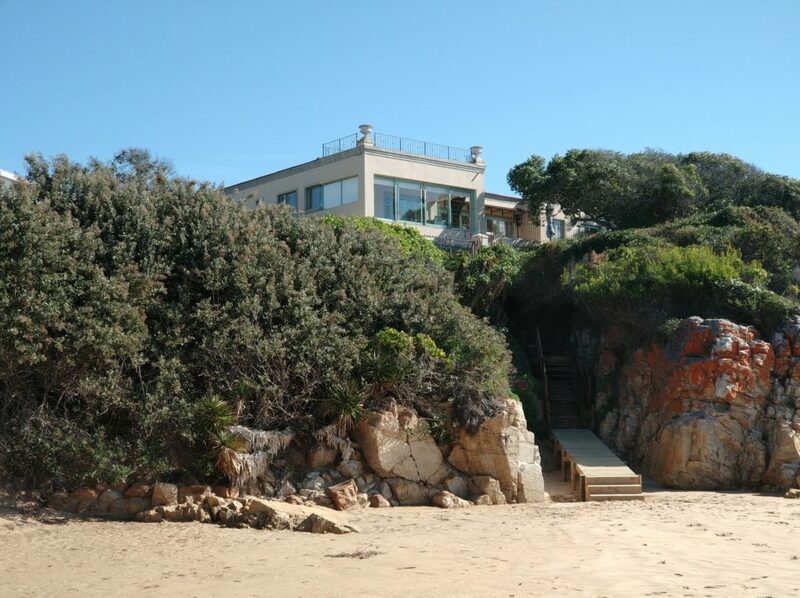 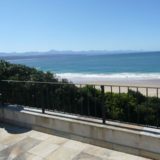 This villa is located right on Wedge beach in the heart of beautiful Plettenberg Bay. 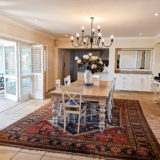 This Martin Rattray Tuscan-styled home is private, secure and comfortable. 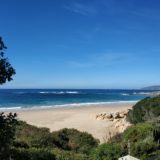 It has everything a large group needs to enjoy a fabulous, relaxing beach holiday on The Garden Route. 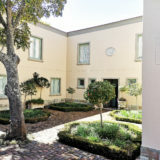 An open courtyard [entered via Bull Street] served by a main entrance gate with intercom and electric sliding gate – affording secure parking for at least 3 vehicles [2 in the spacious garage]. 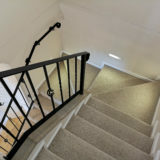 Coming in through the front door you pass though a vestibule, with guest cloakroom and enter into the main ground floor living area. 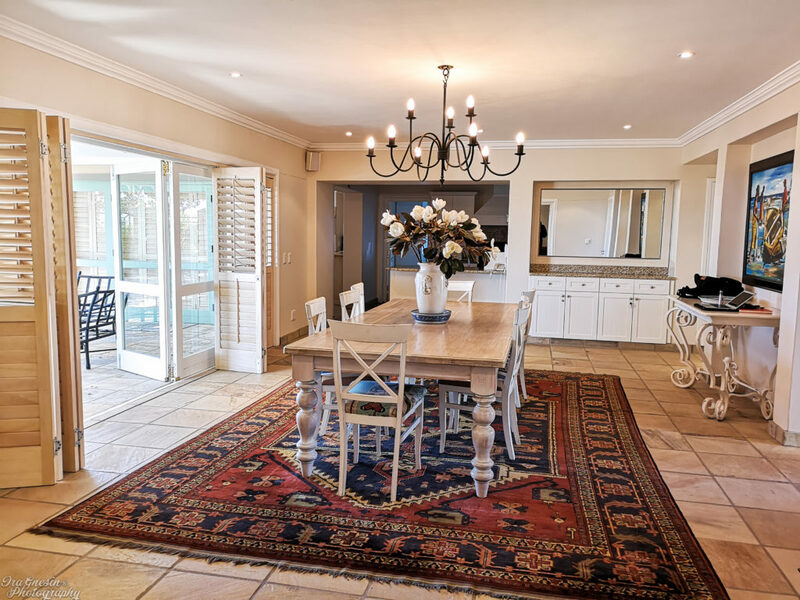 The large and sunny dining area has a table with seating for 10 guests and adjoins the spacious well-stocked kitchen complete with separate scullery, pantry and walk-in cold room. 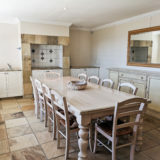 A separate staff flat is accessed via the separate laundry area – perfect for accompanying nanny’s or domestics. 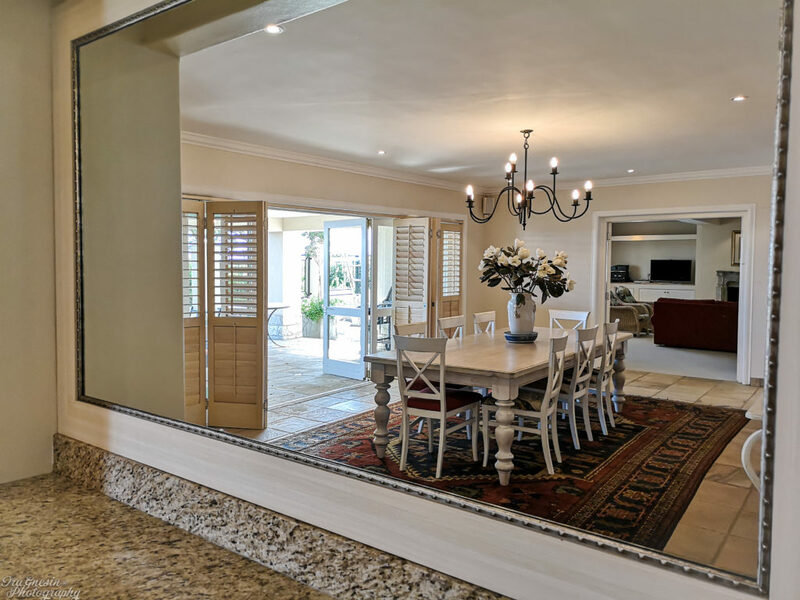 There is also a second glass fronted dining area with another 10 seater table and chairs complimented by a built-in internal gas braai (bbq) unit. 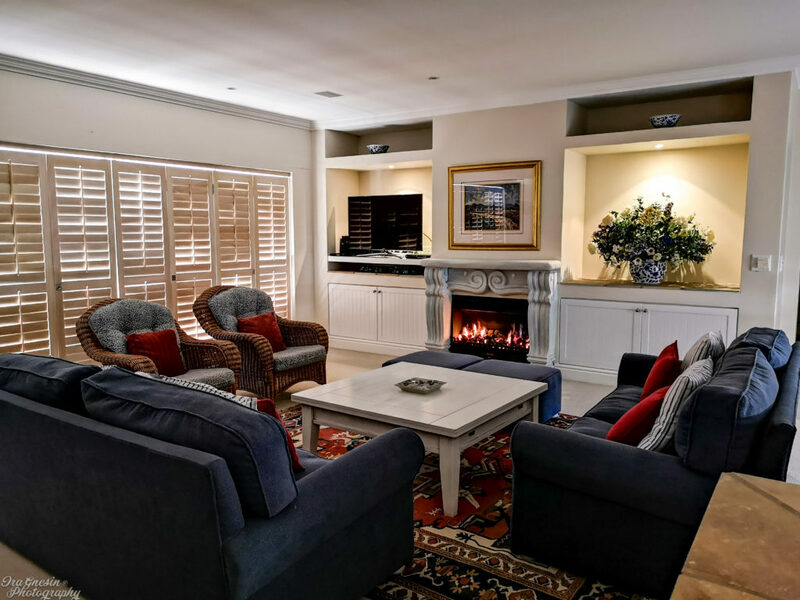 The massive Games Room / Family Lounge comes complete with table tennis table, comfy seating, TV and fireplace. 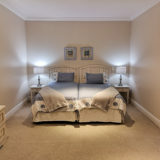 There is a passage through to the 5th ground floor bedroom with its own en-suite facilities. 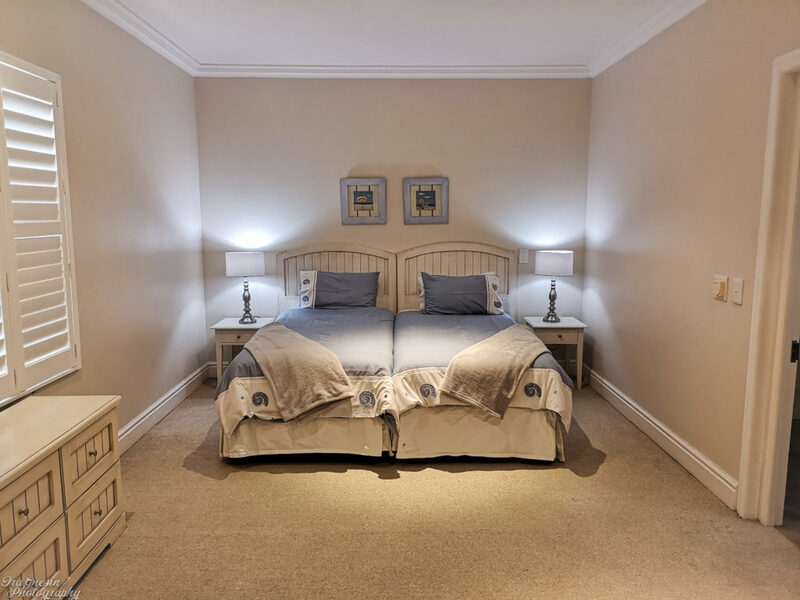 This bedroom has a King-size bed, that can be converted into two twins. 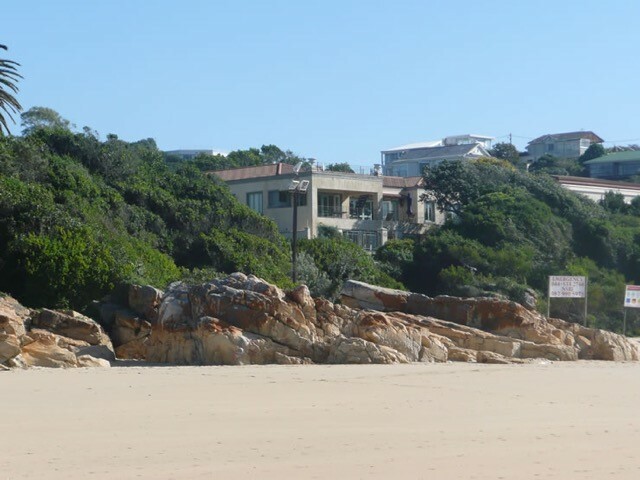 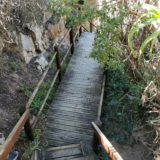 Step out of the main dining area, through a little gate and down a short boardwalk to reach the beautiful cove of Wedge Beach – between Lookout Beach rocks and Central Beach. 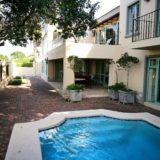 Alternatively relax in the large, open and very private fenced courtyard [boasting comfortable, under-cover outside table and chairs] or swim in the family-sized swimming pool [complete with children’s safety net – if required]. 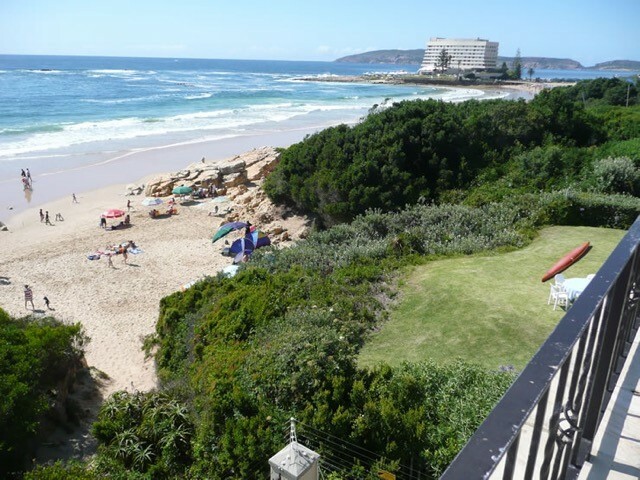 Between the house and the beach on the other side of the gate is also a delightful shady “picnic spot”. 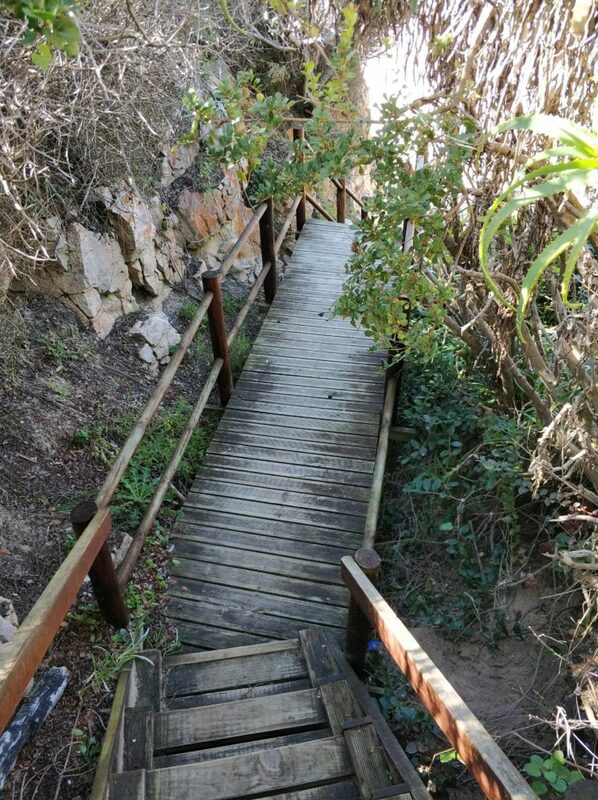 This area is perched above the beach with a great view of the bay and comprises a picnic table with 3 wooden slat benches nestled in between the indigenous vegetation. 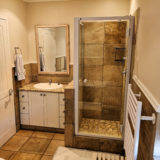 Great for those fun get-togethers’ or private moments. 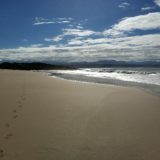 This really is a very special place! 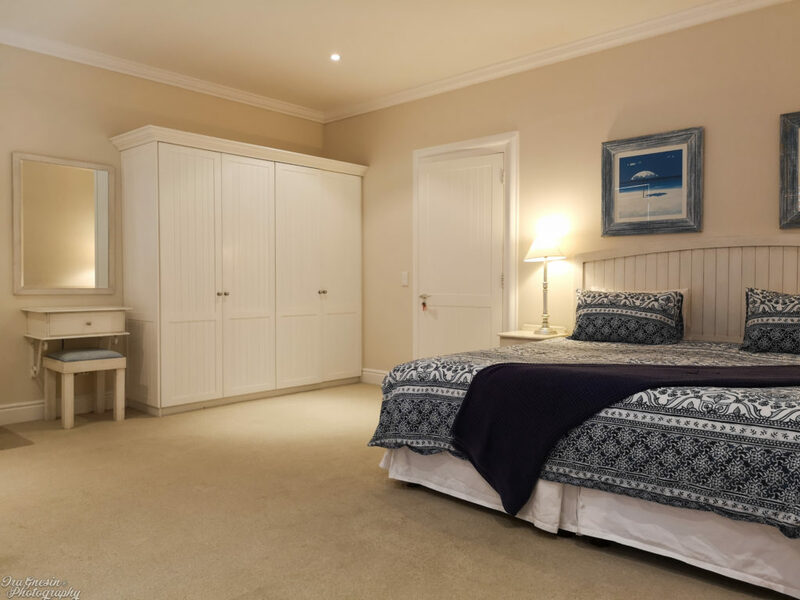 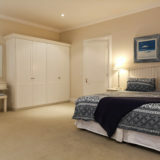 The Master Bedroom has a balcony overlooking Wedge Beach with uninterrupted sea views. 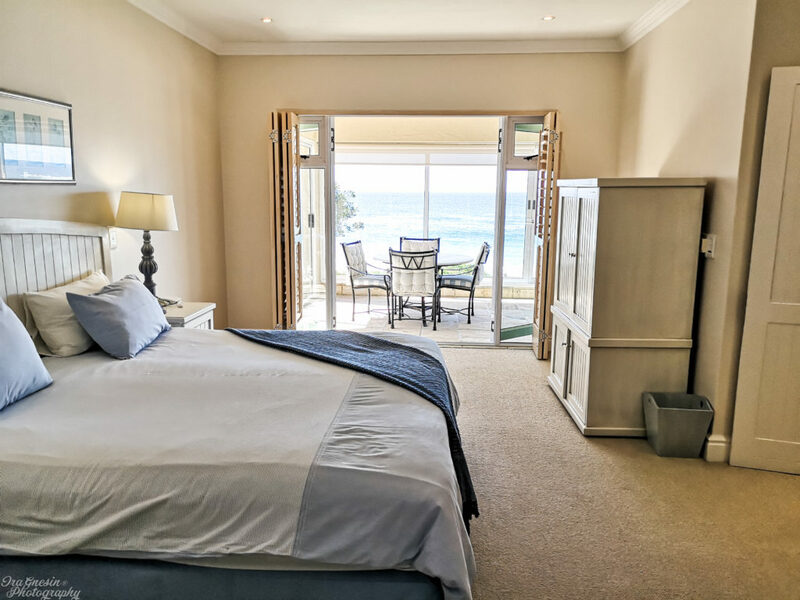 It has a King-size bed, plenty of storage and it’s own glass-fronted Sun Room with comfy seating where you can relax and enjoy the fabulous sea and beach views. 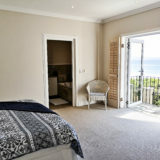 Bedroom 2 also has a beach & sea view balcony with a King-size bed. 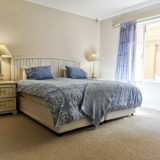 Bedrooms 3 & 4 both have King-size beds that can be converted into 2 x singles if required. 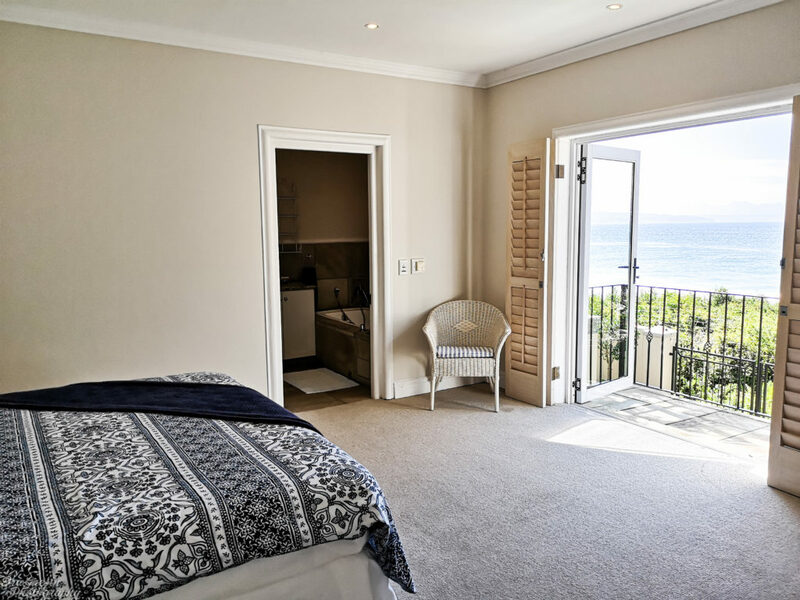 Bedroom 3 has a beach and sea view whereas bedroom 4 looks over the courtyard. 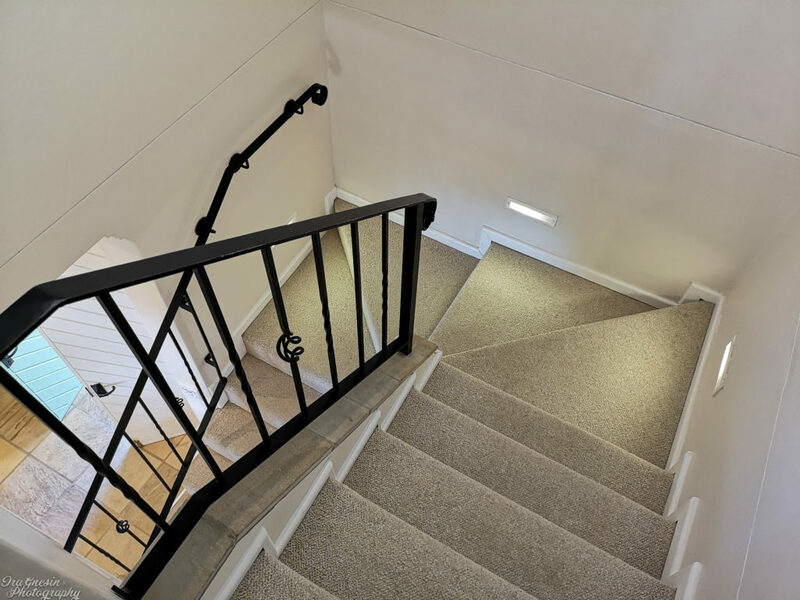 These 4 bedrooms are accessed via the staircase running up from the central dining area. 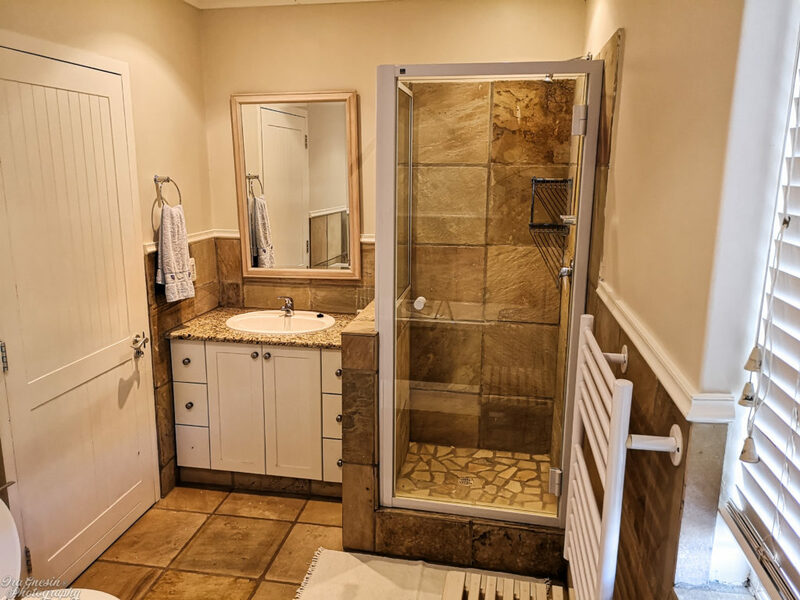 All four are off the cosy and comfortable upstairs family TV lounge which has a work station, coffee station, drinks fridge and large doors that lead you onto the 1st floor terrace area. 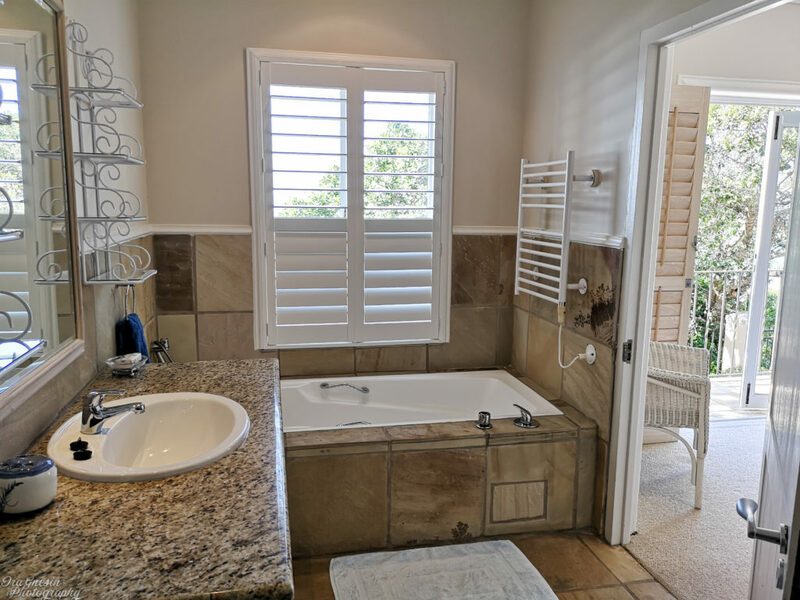 This sunny and peaceful spot has sun loungers and is the perfect place to soak up the rays in privacy. 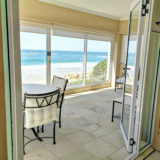 For an even better sea view you only need to climb the steps upwards to the sun drenched top-terrace where you can enjoy panoramic sunrises and watch the dolphins frolicking in the waves. 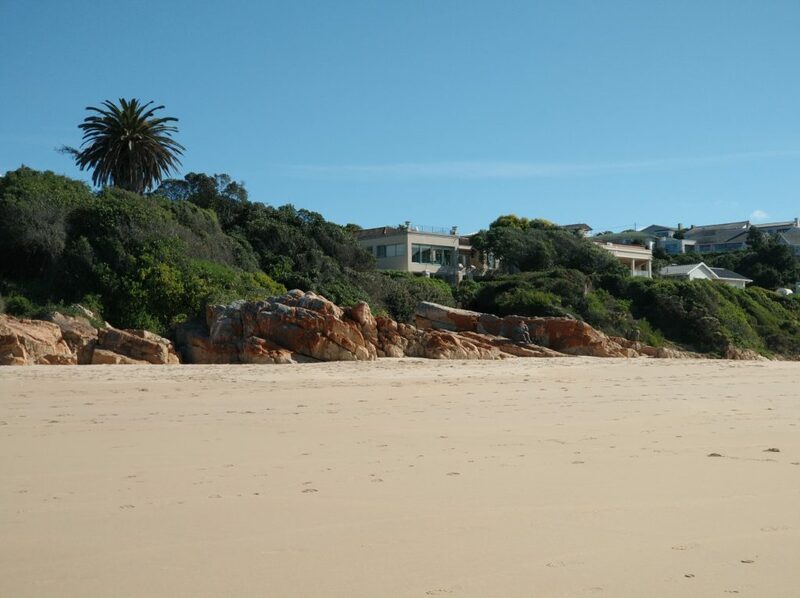 In summary, Beach Cove Villa is a much-loved family holiday home in a very special location. 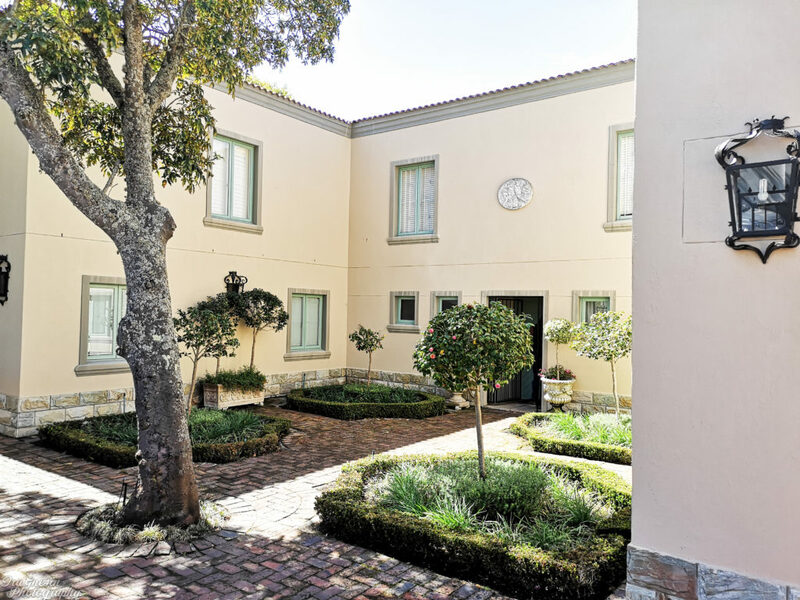 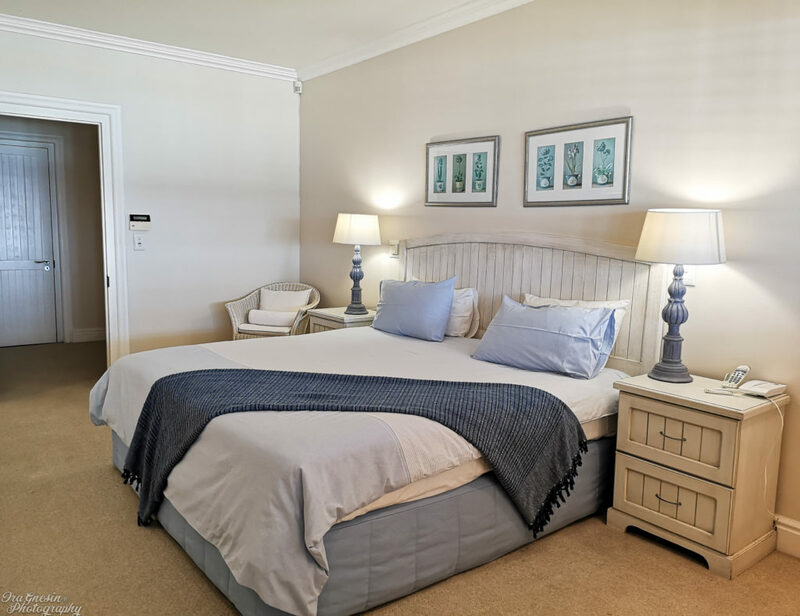 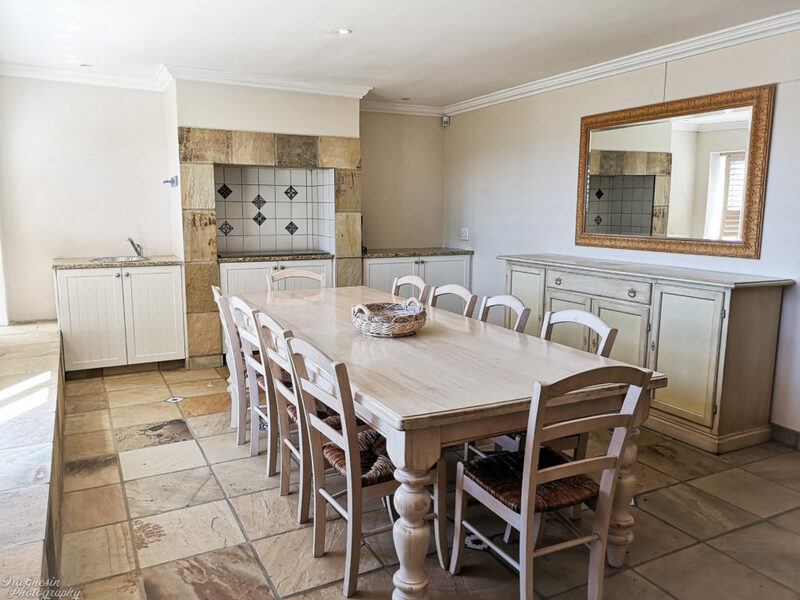 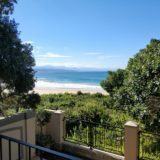 Not only are you right on the beach with sea views from nearly all the rooms, but this beautiful and comfy house sits in very close proximity to all the features and facilities that Plett has to offer. 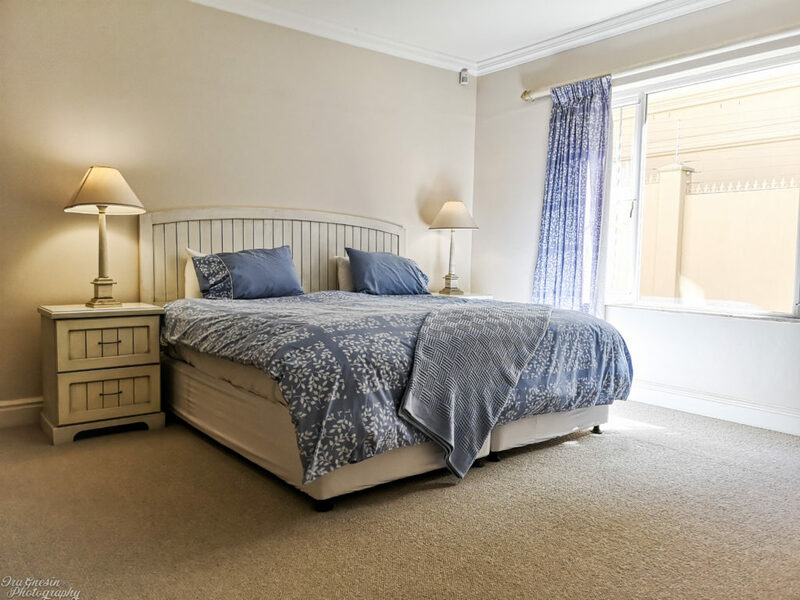 Close-by the Old Rectory Hotel has an excellent restaurant and bar and the house is also within walking distance of the popular Bungalow restaurant on the beach.